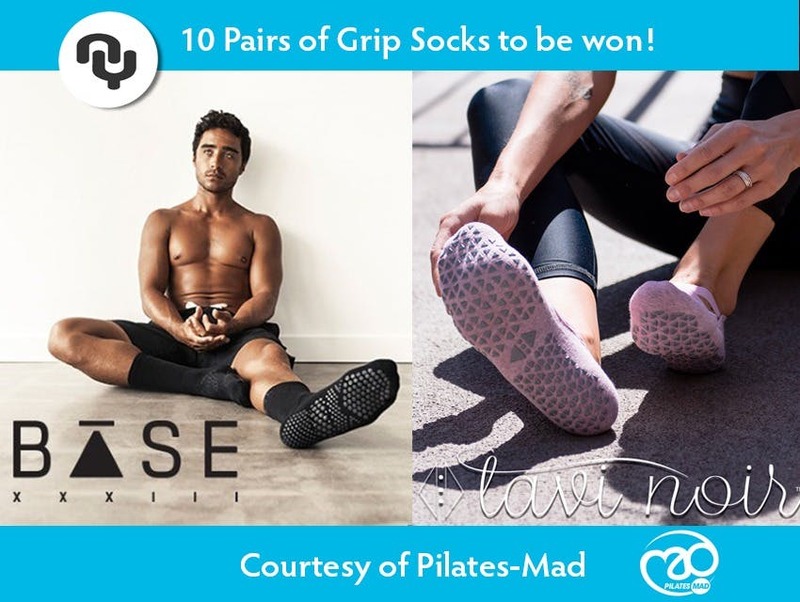 To get you to Pilates Near You has teamed up with Pilates-Mad to offer you a chance to win a pair of grip socks. We have 10 pairs to be won. These socks are designed offer safely, comfort, and look great in the gym or studio. We have two types: Tavi Noir for women and Base for men. Enter the competition below. These incredibly popular socks are gaining more and more prominence on the fitness scene. Tavi Noir is inspired by the balance of strength and femininity. Their socks are a statement of this inspiration -- a lush reflection of style. Turn heads and melt hearts in a pair of Tavi Noir Grip Socks from their Low Rise Grip Socks collection. Tavi's stellar grip sock pattern safely moves you through your Barre, Pilates, and Yoga classes. Express the heart of Tavi with Function that Flows into Fashion. The grip sock for men who do Pilates, Barre and Yoga; You sweat. You push. You crush every class. Don’t slip, lose form, or break focus. Stay steady. Get the most out of every movement. No distractions…get a grip! Are you ready to look good and FEELGOOD? Enter the competition to WIN a pair of Tavi Noir or Base grip socks.